Lovestruck Floral Rush, the first flanker of the Lovestruck perfume by designer Vera Wang from 2011, is coming out in August 2012.
it is a prequel of the Lovestruck story abut modern day Romeo and Juliet, and it captures the excitement and adrenalin rush of love at first sight. The scent is a sparkling floral bouquet that attracts with its juicy notes. It is signed by perfumer Pascal Gaurin. The top accords are champagne, pink pepper and apricot blossom. while the base notes include ambergris, musk and cashmere wood. 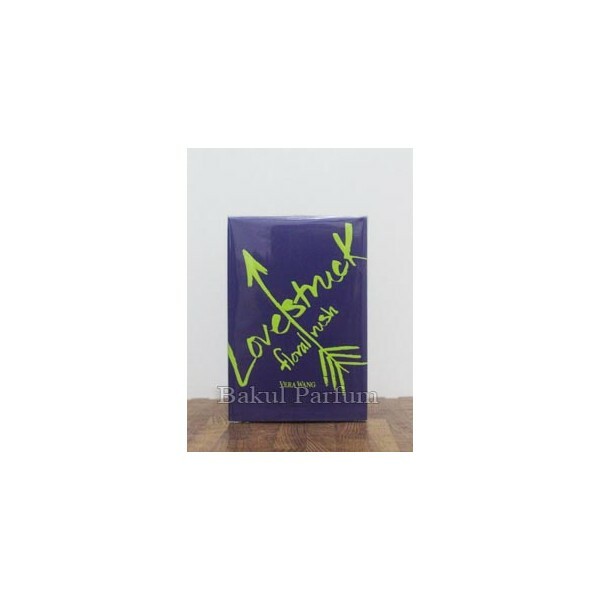 Beli parfum original Vera Wang Lovestruck Floral Rush for Women sekarang, harga termurah di Indonesia!! Nikmati promo dan penawaran eklusif parfum original Vera Wang hanya di bakul parfum.